We’d love your help. Let us know what’s wrong with this preview of Hamza Abdullah by Hamza Abdullah. 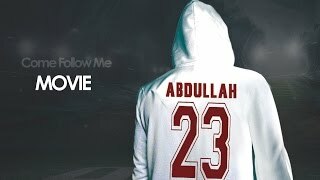 Hamza Abdullah: Come Follow Me: A Memoir. the NFL. a Transition. a Challenge. a Change. "F--k you NFL." That was the first of 50 tweets Hamza Abdullah directed to the NFL on October 31, 2013. What led the normally calm and levelheaded athlete to tweet a diatribe of expletives directed at his former employer? His explosion on Twitter quickly became a trending topic and ultimately caught media attention. Mike Golic of ESPN's Mike & Mike in the Morning criti "F--k you NFL." That was the first of 50 tweets Hamza Abdullah directed to the NFL on October 31, 2013. What led the normally calm and levelheaded athlete to tweet a diatribe of expletives directed at his former employer? His explosion on Twitter quickly became a trending topic and ultimately caught media attention. Mike Golic of ESPN's Mike & Mike in the Morning criticized the former NFL player for highlighting so much that was wrong with the league without offering any solutions. "What are you going to do about it?" Mike Golic challenged. Golic's question was ultimately one of many that Hamza asked himself. What are you going to do about so many former NFL players committing suicide? What are you going to do to keep them from going broke? How can you help them keep their families together and avoid divorce? How are you going to support them while they make the difficult transition from the NFL to "civilian life?" How do we support anyone struggling with a difficult life transition? In this book, Hamza Abdullah seeks to answer these questions by taking an honest look at his own life before, during and after the NFL. There have been a number of very entertaining books written by ex-NFL players detailing their experiences in the League. Now we have a chance to get a look at what happens when the cleats are hung up for the last time, and the cheering is over for good. We find out what toll has been taken on the bodies and especially the minds of our gridiron heroes. NFL Players claim that football is 90% mental and 10% physical, yet they spend a majority of their time working on the physical. Mental health needs to be addressed in the NFL. Hamza believes that if we can tackle mental health on this level, it will have a trickle down effect. In this book we experience the despair and anguish that even the biggest of stars suffer. How their lives are disrupted and spirits are damaged. A different perspective of what happens when men wake up from a dream to discover that their living a nightmare, and the League that they put their faith in is no longer there for them. To ask other readers questions about Hamza Abdullah, please sign up. I first found out about the Brother Hamza and Husain Abdullah on a YouTube video froma channel I was subscribed to. At around that time I got into American Football as well (I'm from the UK). One of the reasons why I support the Minnesota Vikings is because of 2 players, Adrain Peterson and Husain Abdullah. It was amazing to see a fellow Muslim brother playing in the NFL and guess what he had a brother playing as well in the league Hamza Abdullah. Ever since then I have been keeping tabs on the I first found out about the Brother Hamza and Husain Abdullah on a YouTube video froma channel I was subscribed to. At around that time I got into American Football as well (I'm from the UK). One of the reasons why I support the Minnesota Vikings is because of 2 players, Adrain Peterson and Husain Abdullah. It was amazing to see a fellow Muslim brother playing in the NFL and guess what he had a brother playing as well in the league Hamza Abdullah. Ever since then I have been keeping tabs on the brothers. I remember reading the story of when Hamza went on his infamous twitter tirade. After reading it, I realised it wasn't some random act but an act of 'wanting for his brother, what you want for yourself'. Standing up to the league and getting some answers about why the league isn't helping players more post-retirement. Now after reading this book I realise even more why he did it and also another important lesson. You can only become successful when everyone around you is helping you. You cannot lone wolf it and become successful at you do. The book excellently portrays Hamza'a journey and the type of person he is and the mission he is on. I wish to be half the man he is because the way he carries himself and acts towards any person is something admirable. 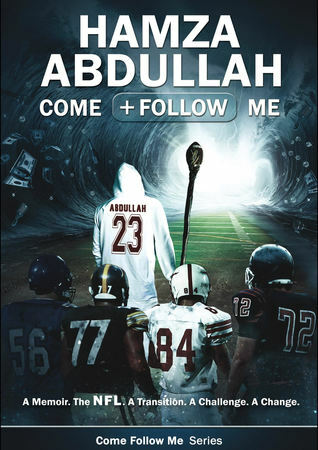 I'm looking forward to what Abdullah Brothers Books have in store next. Hamza Abdullah is a graduate of Washington State University, where he was voted captain of the football team and was on the President’s Honor Roll. After graduating in Social Sciences, he went on to play seven years in the NFL. He was drafted by the Tampa Bay Buccaneers in 2005 but did not appear in any regular season games for the Bucs. He made his NFL debut for the Denver Broncos later that year Hamza Abdullah is a graduate of Washington State University, where he was voted captain of the football team and was on the President’s Honor Roll. After graduating in Social Sciences, he went on to play seven years in the NFL. He was drafted by the Tampa Bay Buccaneers in 2005 but did not appear in any regular season games for the Bucs. He made his NFL debut for the Denver Broncos later that year after being signed off the Buccaneers practice squad. He remained with the Broncos until they released him in the middle of the 2008 season. Hamza left Denver and signed with the Cleveland Browns, where he again, did not appear in a regular season contest. He was released from the Browns prior to the 2009 season. Hamza would get one more shot in the NFL with the Arizona Cardinals. The Cardinals signed Hamza before their 2009 playoff run. Hamza would go on to play the 2010 and 2011 season with Arizona. It would be Hamza’s last season in the NFL. In 2011, while playing for the Arizona Cardinals, Hamza wrote for the blog Revenge of the Birds. In 2012 Hamza and his younger brother Husain, left the NFL to make the Hajj pilgrimage. After the brothers returned from Saudi Arabia, Hamza began writing for AbdullahBros.com--a site founded by him and his brothers. Hamza has been featured and interviewed on numerous news outlets, including CNN’s Newsroom, ESPN's Outside the Lines and NBC's Rock Center.